So fast and easy once I found what I was looking for! 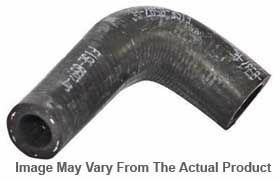 I ordered a Rhino stainless steel exhaust tip for my 2009 Chev Silverado from Autopicity. It took approximately 1 week from when I placed my order until I received it. It arrived in excellant shape and was exactly as indicated. The part was very good quality and easy to install. It took me approximately 15 minutes to install, partly because I wanted to make sure of the appearance and location. I was very pleased with the service I received from Autoplicity and would definitely order again from Autoplicity.